The sanctions follow appearances by the players before the RFU’s Professional Rugby Director Rob Andrew and Legal and Governance Director Karena Vleck. Rob Andrew said: “We have considered all the evidence carefully and interviewed the players at length. These actions have not been taken lightly but we believe that in all these cases the sanctions are commensurate with the level of seriousness of what occurred. 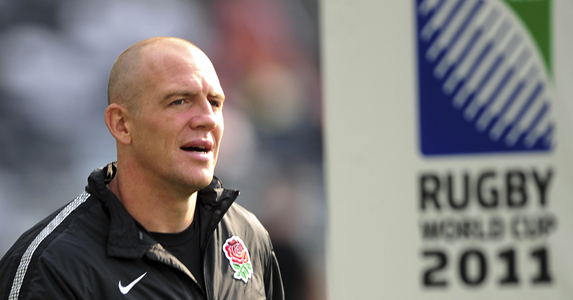 “Mike Tindall’s actions reached a level of misconduct that was unacceptable in a senior England player and amounted to a very serious breach of the EPS Code of Conduct. Whilst we acknowledge his previous good character it needs to be made clear that what he did will not be tolerated. “Regarding the events in Dunedin, it should be stressed that the allegations of very serious wrong-doing made against Chris Ashton, Dylan Hartley and James Haskell by Annabel Newton, a member of staff at the team hotel, were entirely false. We do not believe the players had any intention to sexually harass or intimidate Ms Newton. “However, the incident is precisely the kind of dangerous, compromising situation the players were warned about prior to departure for New Zealand and that they were specifically told to avoid in the EPS Code of Conduct. “While we found that Dylan Hartley played no part in the ill-considered exchange with Annabel Newton, Chris Ashton and James Haskell’s behaviour on September 9 did breach the EPS Code of Conduct and they have each been given suspended fines of £5,000. If they commit any further breaches of the Code before December 31, 2012 the fines will become due. The players have the right to appeal to the RFU Acting Chief Executive within three working days from today. The RFU will not be making any further comment about the above action.